One thing that's as certain as the sun rising each morning (well, maybe if you are in the Caribbean) is that screening programmes keep changing and improving. Over the past year, many professionals and other stakeholders have helped us revise the original 2008 NIPE standards. 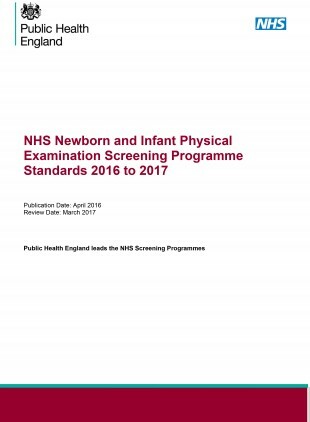 We used PHE Screening's common approach to setting standards and are grateful for all those who contributed to this work. So now that you have a new set of streamlined standards to work with, I would urge you to read, cogitate and digest them. The standards should be viewed as developmental in nature. They focus on some key aspects of the NIPE screening pathway. These are measured predominantly, but not exclusively, by use of the NIPE SMART IT system that is being implemented across England. They are a minimum set that the NIPE programme aims to develop further in the future when more robust data becomes available. The formal implementation of the NIPE programme and rollout of NIPE SMART provides a mechanism for monitoring and assessing more robust data. Please share these links to help make colleagues working in any aspect of the NIPE programme aware of these new standards.